So after a long call with Go Daddy last night, this nice man helped me score http://www.summerinnewport.com instead, which is shorter and more to the point. 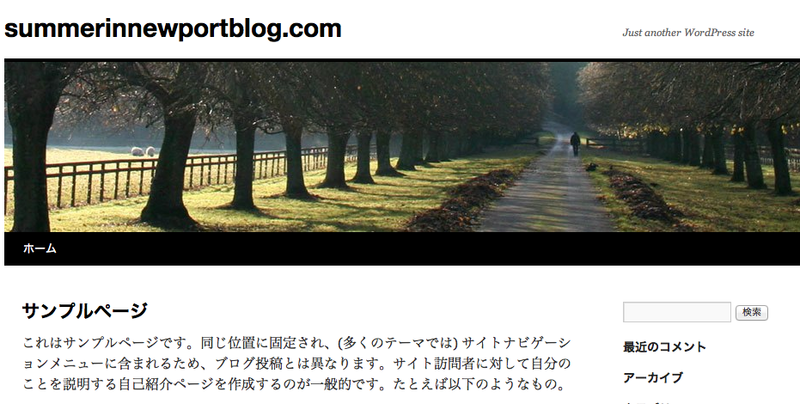 This is where my blog will live from now on. These things always make me shake my head…like why do spammers pick certain people to spam? It’s so bizarre. 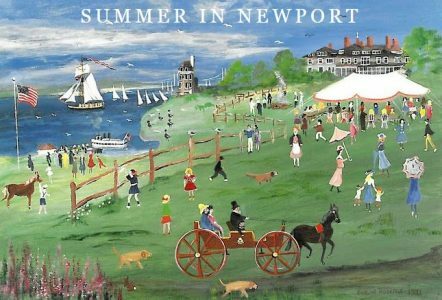 Anyway, I hope that the Japanese blogger is very happy with my old blog domain even though I am sure they have never set foot in Newport, Rhode Island, but if they do, I hope they try the Cooke House..my favorite place on earth. So, it has been an interesting week to say the least. Last Monday, I drove myself to the ER and ended up having surgery to remove an infection that got out of control. It was very unexpected and I have been recuperating at home since Tuesday. Things are moving along a little slower than I thought. I can’t get over the ER experience… very interesting. I have seen every episode of ER there ever was multiple times, so I think I am somewhat of an expert. It made me laugh when I heard them use all the ER lingo, proud of myself that I knew what they were talking about. The lady a few curtains down was screaming for more drugs–all I could think was she is drug seeking..they can sniff them out quickly. My drug on Monday was Dilaudid, which I highly recommend when you are in pain. It was effective. My friend Meg showed up and stayed with me throughout my whole ordeal and then Helen and Nicole took over in the evening. I have such great friends. My other friend Cynthia started a list and people have signed up to come bring me food, which has been so great. My refrigerator is stocked and I get visitors, which is fun. I am addicted to smoothies these days..the pain meds make you not so hungry. Having never spent the night at the hospital, I was unprepared for all the interruptions to my sleep. I guess when you are on the night shift, 4 am seems like the afternoon. This nurse kept waking me up to do all sorts of things and I was so annoyed with her. So many people kept coming in, by 8 am, I felt like I had been awake forever. My friends showed up with breakfast and I was out by noon. So all week, I have been taking it easy and resting. It’s a lot to process and I have had a lot of help, thankfully. Every day, a nurse comes to help me. The nurses they send are all male! It is so funny, but at this point, it doesn’t even register. Armando is becoming my BFF and he is so helpful. I am hoping to be back on my feet by the end of this week and back to business. I have so many blog posts stored in my mind and my shows are about to start full force, so I don’t have time to be down for the count. Having a blog brings guilt along with it. I feel guilty when I am away for so long…so just wanted to check in. Look for some good posts very soon. Today, I am heading North to Jacksonville for the Junior League of Jacksonville’s Holiday Market. My set up time starts at 6pm, so I will be on the road all afternoon. I am so excited for this show, hoping some of my Jacksonville friends will come to see me. This is the first big show of my holiday season and I have been making all sorts of new things. I am staying with my parents and am excited to see them and, of course, to see my Millie.